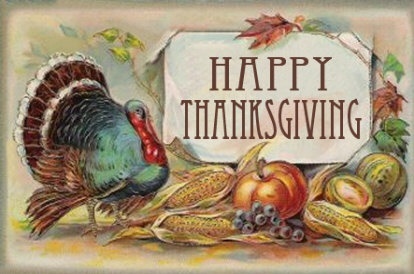 Hello, we hope you have enjoyed this day with friends and family! Just a quick note of thanks, on this day of remembering what we are thankful for, to you for supporting and being a part of the Fivethirty Home family. Sorry, folks. This one didn’t make it out of the back room and the after picture was taken in the room of the sweet new owner!! Miss Mustard Seed created curio, our brown, to mimic the look of an old curio cabinet. The rich walnut tones are perfect for an first coat on a raw wood piece, or to make a mahogany piece a little less RED. We primarily use curio as a stain (this is also part of our Milk Paint 101 class). Our favorite mixture isl a 3 parts water to 1 part paint ratio. In class, we wipe half of the board and let the other half dry, and then finish both with hemp oil. except closed on Thanksgiving day. Visits with Santa, special shopping and dining events, and much more continue through the month of December. It’s a great day to visit Zionsville to shop, dine and celebrate the holidays! Have breakfast with Santa, enjoy holiday home tours, concerts, art and quilt shows and more! Trolley Rides 12:00 – 4:00 The Trolley will run from Downtown to the Hussey-Mayfield Library to Boone Village, stopping at the Sullivan Munce Cultural Center, and will return downtown. Santa will be visiting from 11:00-3:00 at the corner of Main and Cedar Street. There will be horse-drawn carriage rides throughout the Village from 11:00-3:00. Rides on the Barrel Train will run from 12:00-3:00 on Hawthorne Street between Elm and Main Streets. Shop ’til you drop! Village stores are open late with activities and specials that are sure to please the most discriminating fashionista! Horse drawn carriage rides will be available from 5:00-8:00. Pick up your clue card at participating businesses or the Zionsville Chamber office located at 95 S. Elm Street. Follow the clues to find Santa’s missing elves! Once you find them all, be sure to put your completed card in the mailbox at Santa’s house on Main Street for your chance to win a prize! A great activity for the whole family! Take a leisurely stroll down Main Street and enjoy samples of seasonal beverages an special small plate offerings from some of the best restaurants and merchants in the Village. Finish up with Christmas karaoke, an ugly sweater contest and prizes! Pick up a card at one of our participating locations or the Zionsville chamber office located at 95 S. Elm Street. Head to the Village to finish up those last remaining items on your gift list! Carriage rides will be available from 5:00-8:00. Zionsville merchants will be offering special shopping events to help you find that perfect last-minute gift! Visit the Zionsville Chamber of Commerce site for a complete list of events during the holiday season. The fivethirty home halls are officially decked for the holidays and I am so excited for you to see all we have to offer this year. I think we have a great selection of what you have come to expect from us at the holidays: pillows, signs, Zionsville and Indiana ornaments, elegant and fun ornaments and more. And, we’ve added lots of soft goods this year! Some of my faves are the felt and crocheted ornaments and very cool plaid blankets. We’ve also added more shimmer than ever before with lots of mercury glass and gold decor and ornaments. I really enjoyed putting together the displays this year, too. Our window is a lodge/winter cabin feel with lots of birch, antlers and sled/ski/snowshoes. I love the sparkle in the front of the store and ornament central just beyond our Miss Mustard Seed’s Milk Paint display. We even gave the nautical area some fun ornaments, rustic Christmas trees and driftwood goodies! NOTE: We will be closed on Sunday November 6th. Attention: one of my new favorite combinations it MMSMP shutter gray with a light application of white wax. This is why. Carry on.